Bladder cancer can be challenging to diagnose due to the broad morphologic spectrum of both in situ and invasive disease. Histology review of tissue specimens, combined with use of urine cytology, is often optimal to render a diagnosis. In this chapter, we review a range of bladder findings, including normal, in situ, and invasive disease. 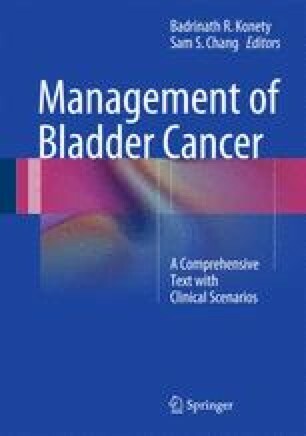 Both conventional and non-conventional forms of bladder cancer are presented. Discussion of neoplastic mimickers and utility of ancillary testing is incorporated when relevant. We conclude with an overview of cytology findings in bladder neoplasia and highlight the benefits and limitations of this diagnostic modality in bladder cancer.